Mike Hay's presentation focuses on the experiences in North Korea of the speaker, a foreign lawyer who in 2004 opened up the first ever -- and only -- foreign-invested law firm and multidisciplinary business consulting practice in North Korea, and who has recently returned to Seoul after spending 12 years in the DPRK, based in Pyongyang. Prior that, Michael Hay spent fourteen years in Seoul, working in a law firm and then opening up his consultancy practice in Seoul. Relying on his experiences of both South and North Korea, Michael Hay will present a selected “buffet” of topics which he hopes will appeal to members of the audience having different interests in the two Koreas, and will present a fast-paced, and at times humorous, series of observations of life and work in North Korea, using numerous visual aids, with an emphasis on making the presentation focus on the practical aspects of his experiences as opposed to an academic discourse. 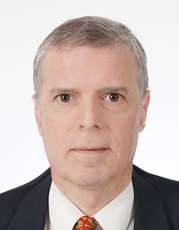 Before joining Hwang Mok Pak, a legal office in Seoul, Michael “Mike” Hay founded a multidisciplinary practice HAY, KALB & ASSOCIATES (“HK&A”). Dr. Hay, is a dual British-French citizen raised and educated in Scotland and the United States, first worked as a member of the New York bar in private legal practice in New York City. He came to Korea in 1991, where he specialized in international business transactions, international dispute resolution and, since 1997, North Korean law and business practice. He holds an LL.B. with Honours and Ph.D. in comparative law from the University of Edinburgh Law School in Scotland, U.K., and an LL.M. with a concentration in antitrust law from Northwestern University Law School in Chicago. He brings almost twenty years’ of experience with Korea (North and South), and an understanding of the numerous cross-cultural and linguistic factors that can come to play in business ventures involving Korean and non-Korean businesses, including the special characteristics (corporate, institutional and individual) of Korean culture. He has accumulated considerable experience in business negotiations with the DPRK in a wide variety of fields, ranging from power and energy to aviation, IT, the food and drink industry and tourism, among others. 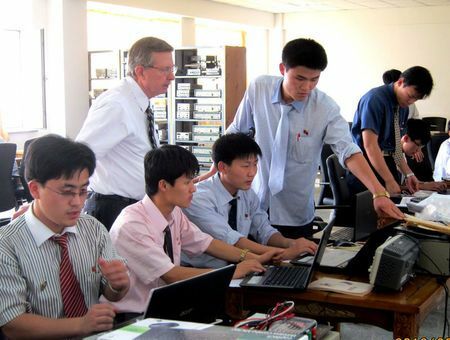 In addition, he has given, at the invitation of the DPRK authorities, ground-breaking training to senior government officials in international business transactions and dispute resolution, in an entirely independent capacity. He has presided both as an accredited chief arbitrator in international arbitrations and also served as counsel in arbitral proceedings in both Asia and Europe. Voted one of Asia's Leading Lawyers three years consecutively by the readers of Asialaw Magazine, in 1999, 2000 and 2001 (immediately prior to establishing his own consultancy), Mike has also written extensively on the legal and business aspects of dealing with the DPRK, and is a regular contributor to a number of legal and professional journals on the subject. His work has appeared in, or otherwise been covered by, among others, the BBC, Reuters, The Financial Times, Agence France Presse; Asian Legal Briefing; PBS, Asia Law; Finance Asia; In-House Briefing Asia-Pacific; Asia-Pacific Legal 500, Asia Law & Practice; The International Financial Law Review and Lawmoney.com, the Asia Society (NY), the Korea Society (NY); the Legal Gazette (London); Asian broadcast and other media outlets; and others. A frequent speaker on the subject of doing business on the Korean Peninsula, he was the sole Western advisor for a U.S. public television documentary on Korea. He was recently asked to advise as an expert witness in proceedings in the Royal Courts of Justice in London. He has also appeared in numerous Korean media outlets, including 여성동아,조선일보,월간연합뉴스, 고국소식, Haute Magazine and many others. Mike speaks English, French and Korean (South and North).